Stainless Steel Father of the Bride Cufflinks come in several designs, or design your own! 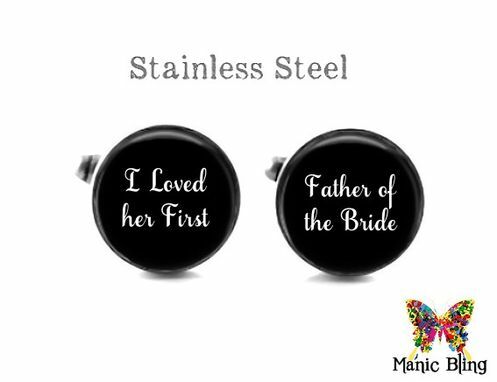 Heirloom quality Bridal cufflinks that will last for generations to come. They are strong, do not have any plating to wear off, won't change color, and will not rust or tarnish. 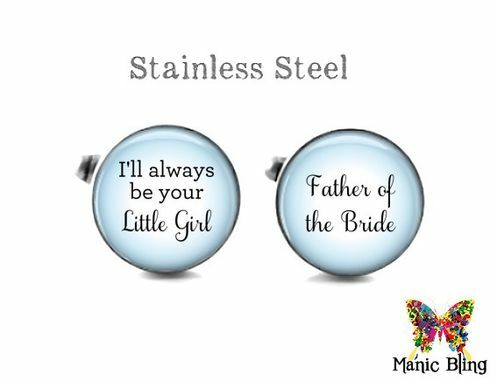 They are very elegant and go with anything! 19mm (.74 inch) total diameter – about the size of a US penny. The optical quality tempered glass dome is 16mm. The photos are enlarged to show detail. The photo is permanently sealed under a 16mm top quality glass dome seal and they are waterproof. 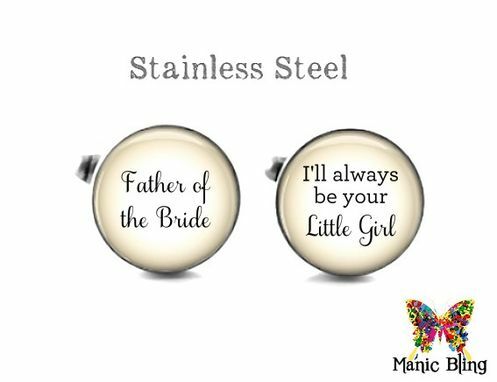 These are Handmade cufflinks and they will come in a black Manic Bling box perfect for gift giving. 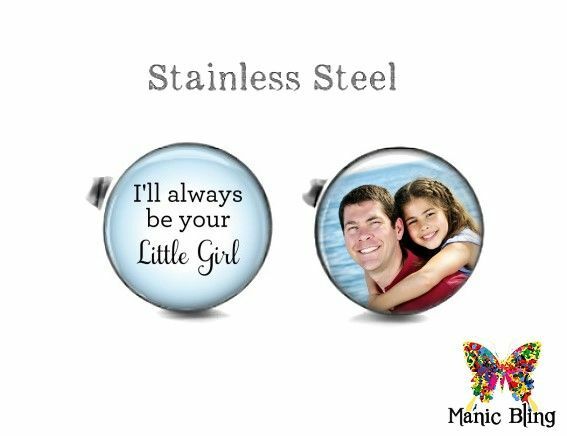 Manic Bling guarantees the best quality glass photo cufflinks!